Windows 10 Mobile is going to be showcased to the public most likely on October 6, which is rather disappointing to see its entry coming in this late because the desktop version of the platform has had several builds showcased so far. Here are the core features that are going to be present in Windows 10 Build 10558. While we always get to see a plethora of features from each build leak, 10558 tops all of them by possessing something that none of the other previous builds possess; the ability to install apps in other than the main “C:” drive or partition. This will be considered as a lifesaver for several users because not all of them will have sufficient space remaining in their “C:” drive or partition to facilitate the installation of several applications. 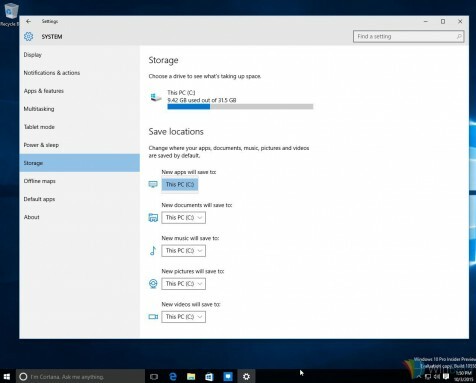 With the latest Windows 10 Build 10558, users will effortlessly be able to install applications to other partitions and even different storage paraphernalia, such as a MicroSD card. 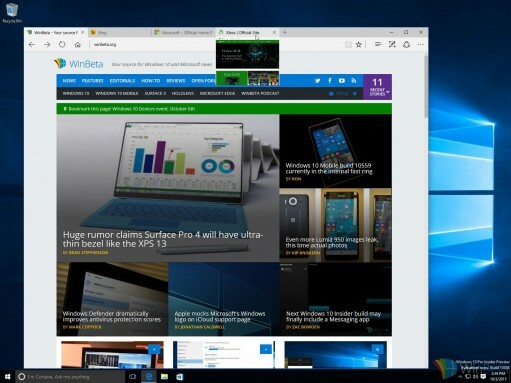 Additionally, the software giant’s default web browser, Edge has also been upgraded thanks to a bunch of new features. According to the source, Microsoft has cleared up the app’s settings menu, and has also added the new tab preview feature which will allow users to take a peek at different tabs without having to actually having to switch to them. 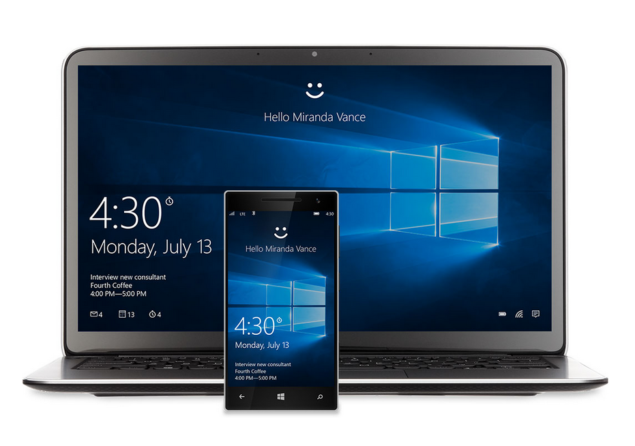 There is also a possibility that this version of Windows 10 will finally have the long awaited universal messaging app for the operating system. Being a universal messaging application, it will be present on smartphones, tablets and desktop versions of the platform. For those that not running Windows 10, it will support messaging over Skype and eventually even SMS, at least for those tablets that support the functionality. Microsoft’s October 6 event, where the company is expected to be showcasing its Surface Pro 4, Lumia 950 and Lumia 950 XL, it is highly possible that the firm will officially be releasing Windows 10 Build 10558, but we are going to have to wait and see if this actually happens. There is also a hands-on video of this particular version and it is showing the different features that come along with this build so do make sure that you check it out and let us know what you think of the new build.